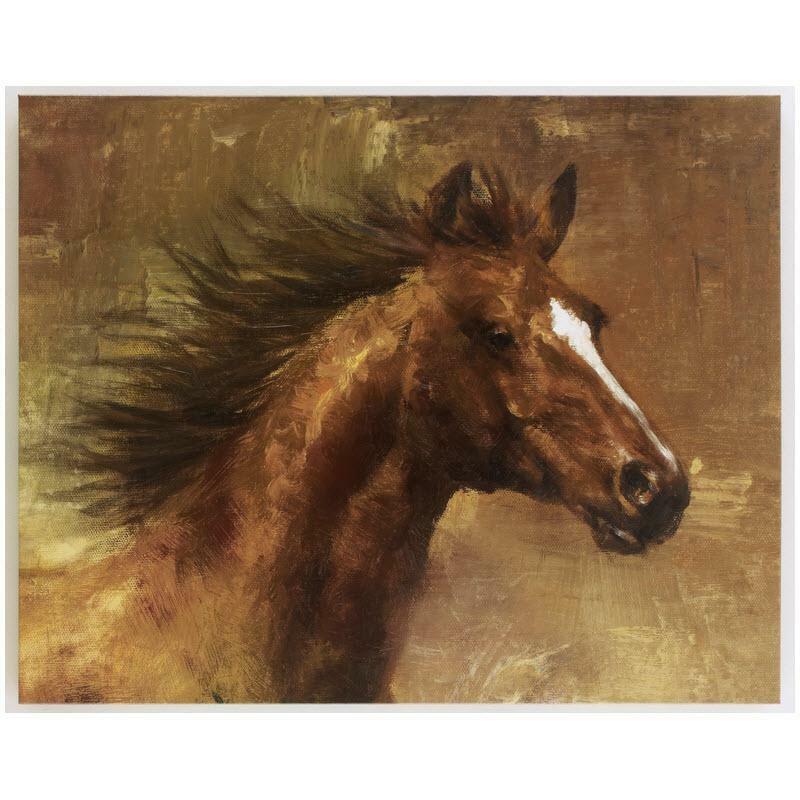 Horse gallery wrapped canvas wall art with hand texture . Browns, golds, red & white. Giclee reproduction. Additional Information Sawtooth for hanging.